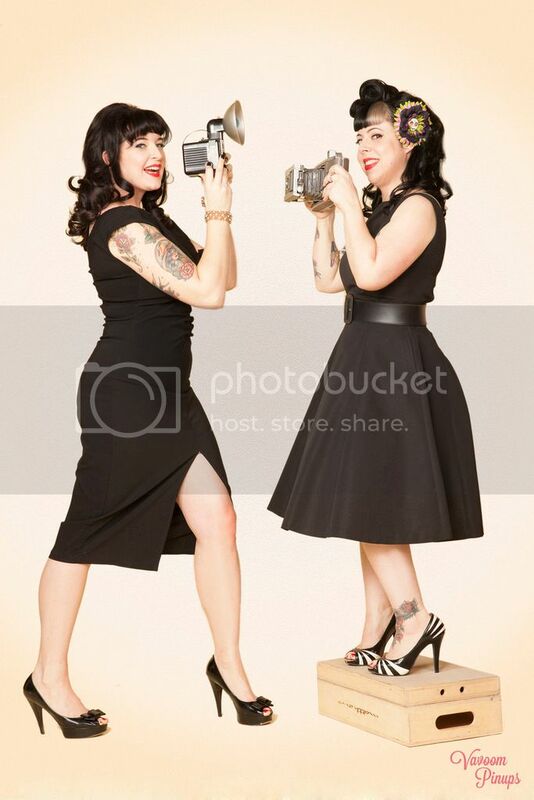 Betties N Brimstone: Spring is Here! A little while ago, I showed you a bunch of bows I was putting up for sale in the shop as I was "spring cleaning" in the studio. Well, in the last week, I've put a whole bunch of BRAND NEW items into the Hell Razor store. 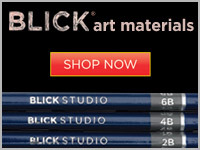 I thought I'd showcase a few of my favorite items here on the blog! Above, you can see a pair of earrings I made using a pair of holy medals. 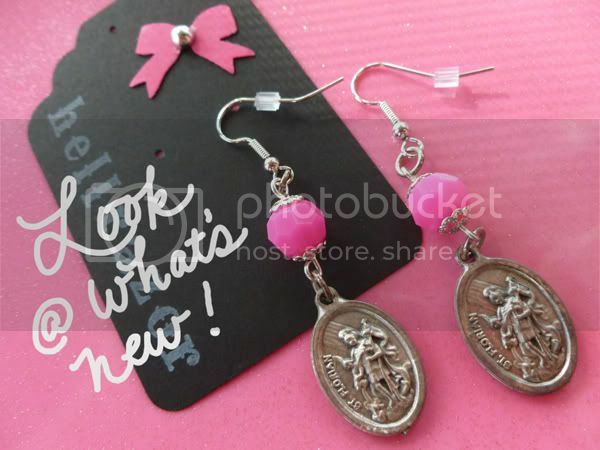 These are my "Saint Florian Hot Pink Dangle Earrings." There's something about religious iconography that I am always drawn to, and I love to pair these items with unconventional colors or symbols. Another example of this technique are my recycled rosary necklaces, where I take rosaries and swap out the crucifix for another pendant or charm. 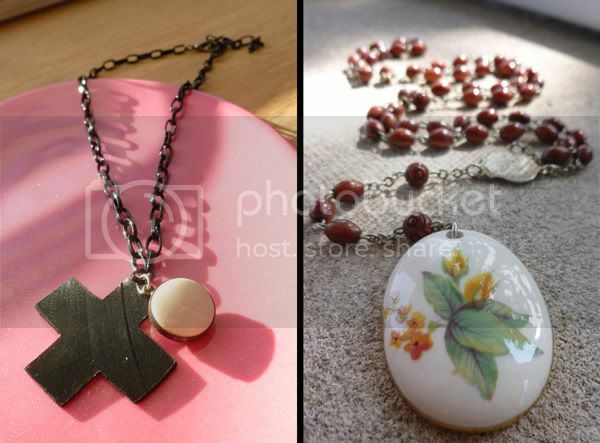 This "Vintage 70's Style Recycled Rosary Necklace" (below right) has an old ceramic pendant I found in a box of old jewelry bits... I'd been saving it for just the right necklace, and the brown wood-look rosary beads were perfect. Below left is my "Recycled Vinyl LP Charm Necklace." I've been experimenting with cutting up (by hand, with a saw!) old records into shapes and symbols for use in necklaces and earrings. This necklace is a smaller plus sign/cross-shaped charm that I paired with a white circular stone charm. 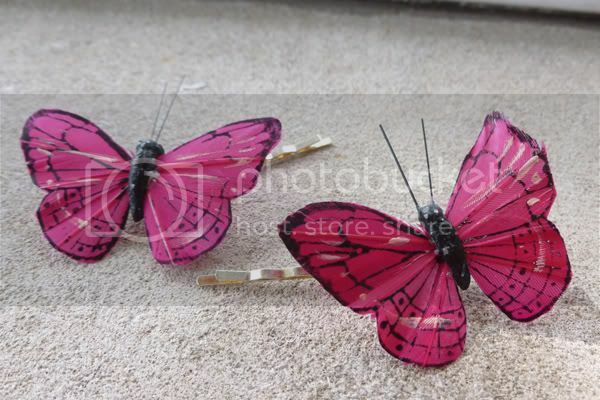 Above is a pair of magenta butterfly bobby pins! I've made these before in a variety of colors - in fact, I have more to list shortly, but this pink pair is the latest up for sale. You'll definitely get some spring/summer vibes going if you wear tiny butterflies in your hair! Below is a new pair of earrings I just made. Called "Silver Safety Pins and Skulls" dangle earrings, I used two safety pins that are extra silvery. 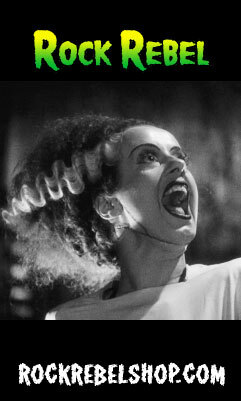 Let me explain: I had a bin filled with safety pins from my great-aunt. She was kind of a pack rat (hmm so am I...) and things like that appeal to me, so I was gradually using up the pins for jewelry and other art projects. Most of the pins all looked the same, pretty standard, but two pins were extra silvery and shiny, so I set them aside, not sure what to do with them. I asked my husband about them (he concentrated in metalworking in college), and he said that it probably means that they're older than the others and made from a different kind of base metal. So I thought that was kind of neat and special. 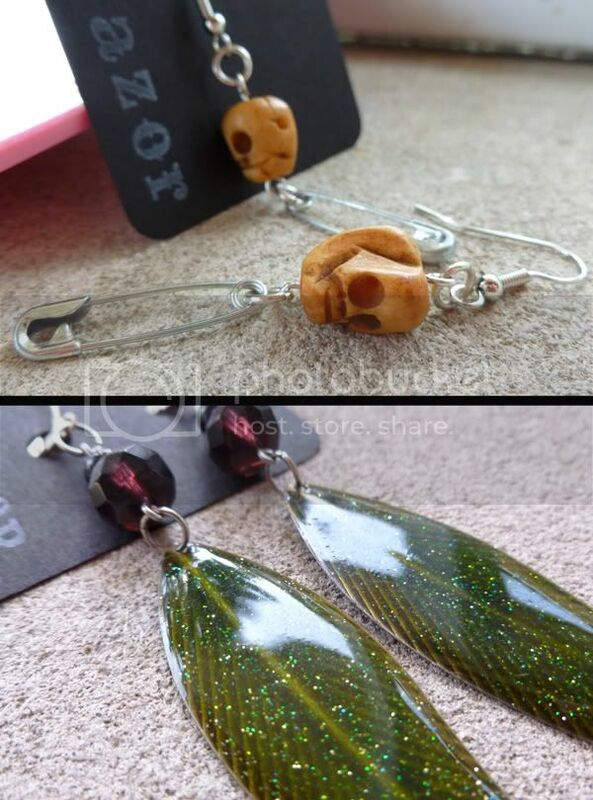 I chose to use them for this pair of earrings because these skulls are the only two I have. Seemed appropriate. Above is a detail of my "Glitter Leaves Long Dangle Earrings." I used two long, glittery leaf charms (hence the name, duh) to make these. I considered keeping them for myself (that's how much I like them), but I have a lot of earrings as it is, so I'm passing them along to someone else! Click the link to view the full listing and photos. 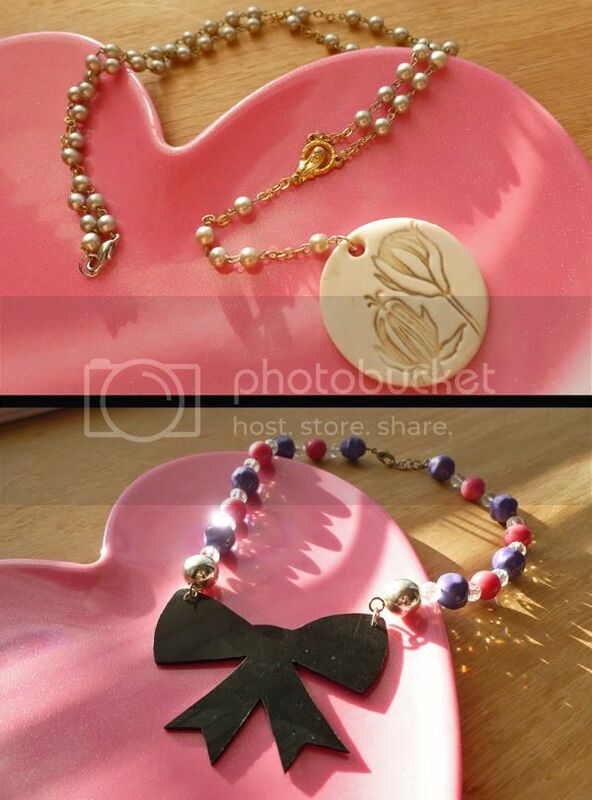 Below is another recycled rosary necklace, this one has a clay charm from Soda by Amy. The charm was in a goody bag from an art show I attended, and I've been saving it for just the right necklace. This rosary is vintage and sent to me by my aunt. It's a shorter rosary necklace (I think it was probably broken at one time and is missing some of the "decades" on the main body), so I added a clasp to it. The pearly beads really complement and contrast the matte smoothness of the clay on the pendant. It's a nice neutral necklace (kind of unusual for me!) that would go well with most anything you want to wear! The last necklace I want to showcase (above) is yet another piece I originally wanted to keep for myself! But, in the spirit of spring cleaning and fresh starts, I'm listing it in the shop. This is my "Recycled Vinyl LP Bow Necklace." As is the charm necklace earlier in this post, the bow part of this necklace is hand-cut from an old vinyl record. I used vintage plastic beads to create the rest of the necklace. I love how fun and happy this necklace turned out. 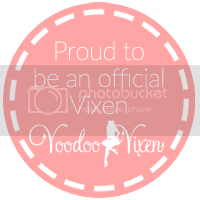 I've actually listed even MORE than this in the shop, so be sure to stop by to see it all! Thanks!